Fr. 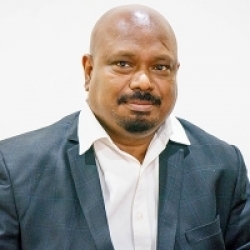 Dr. George Sebastian is a Jesuit priest belonging to Jamshedpur province, he is an alumnus of XLRI (PMIR), also obtained Masters in science in positive Organizational Development from Case Western University, USA. His PhD thesis is on Transformational Leadership and Organizational Citizenship Behaviour from Madras University. For a decade he worked in XIMB as Dean of Finance and professor in the field of Organizational Behaviour, then he worked at XLRI as Dean of Administration and professor in OB. He is a visiting faculty at Loyola University, Baltimore, USA. His expertise is in the field of Transformational leadership, Emotional Intelligence, Positive Organizational Development and Managerial Counselling. He has conducted numerous in-company programs, MDPs and workshops. He has written articles in a number of leading journals of the country.